"Antonio Carlos Veciana Blanch is an accountant by training, a banker and a businessman by trade. Some call him a patriot, some call him a terrorist. 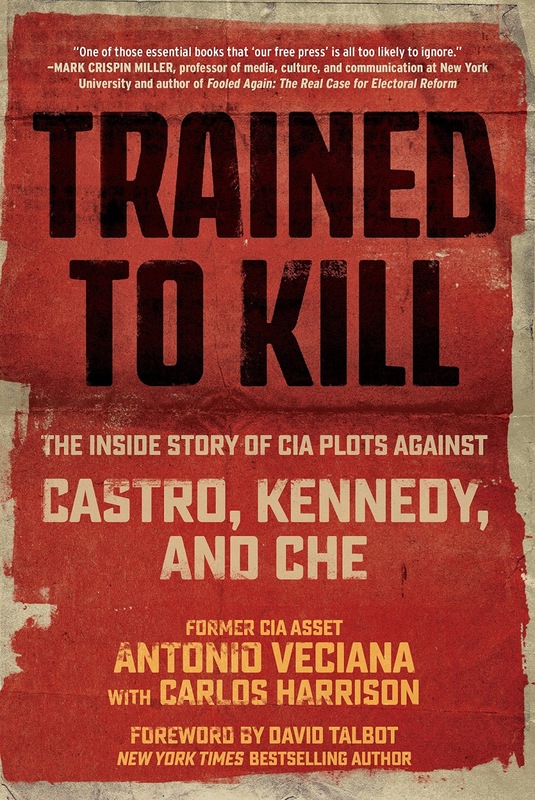 Only one knew that he is a spy, with a single mission to destroy Castro." 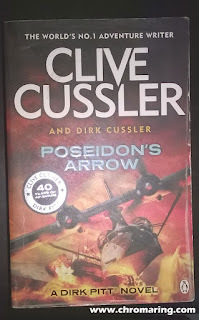 Thanks to Net galley and Skyhorse Publishing for giving me an opportunity to read and review this fantastic book. 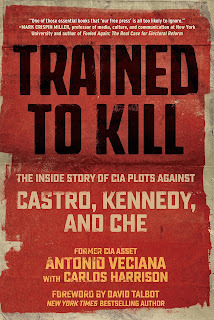 The book is an account of an 88 year old Cuban exile Antonio Veciana with his CIA handler Maurice Bishop. 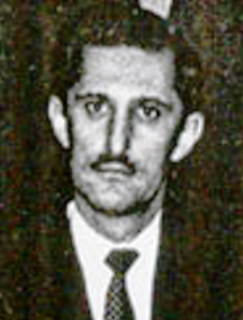 During the Cuban revolution he was working as an accountant to a wealthy man, Julio Lobo, and Veciana was also the head of the Accountant Association. Like others he also hated the reign of Fulgencio Batista. On 1st January 1959 Batista was replaced by the revolutionist Fidel Castro. But Veciana hated Fidel as he will rule as a dictator. Later his assumptions of Fidel does not falter and he voiced against him. A CIA, Maurice Bishop also known as David Atlee Phillips comes to his office and gives an opportunity to work for anti Fidel Castro activities. Maurice trains him and makes him his covert field operative. Under Maurice direction Veciana destructs public confidence on Castro by spreading rumours and leaking fake government drafts such as Monetary control and parental right laws. He used men with incendiary bombs to destroy many tobacco fields and industries there by crippling Cuba's economy. After failure of Bay of Pigs invasion, Maurice gives a solution to kill Castro. Veciana with his Mother-in-law takes up an apartment opposite government plaza where Castro and Dorticos will meet. His choice of weapon to kill Castro is a bazooka, its 3.5 inch warhead could pierce a three inch armour plate. Before the mission is accomplished as planned he has to take his mother in law and land in US. He reaches the US coast and was waiting for the news of Castro's death but the mission was a failure. Then he stays in US, he finds Alpha 66 and becomes the Chief and principal fund raiser, Alpha 66 turned out to be most active group which became a headache to Castro's reign. Under Maurice instructions he takes up the job of banking advisor to Central Bank of Bolivia, he lived with his family and rubbed shoulders with high ranking members. This time his task is to kill the legend of Che. He tried his best by making arrangements to hand Congo Diary of Che to Castro for publication, he thought that the book will give the feeling that Che's chronicles are a debacle. But the legend continued to grow and inspired many. From Veciana's view point apart from Che's daring, simple and disciplined life, he saw confirmation of Che's failure. During 1971 Veciana got another big opportunity to assassinate Castro, as he had planned to pay a visit to Chile which is under the rule of Salvador Allende. The weapon of choice had to be small enough to fit inside a fully operational television camera, to remain hidden until the assassins were close enough, and to fire one or more shots, point blank, into Fidel's throat and head. He selects three persons for the job but luck favoured Fidel. When this attempt failed he returned to US and fell from the patronage of Maurice Bishop, and he was paid $230,000 for his service on anti Castro activities. Some years later he was thrown into prison on the charges of supplying narcotics which he denied. Later he told the United States House Selection committee on Assassination that he met Maurice with Lee Harvey Oswald couple of weeks before assassination of JFK. He was ambushed on the way back to home but he survived a bullet wound. He was sure Bishop is David Atlee Phillips. Veciana says that he regretted his political life. The book gives much information on how CIA recruits people, different kind of code language and how secret meetings takes place.